Auburn – Gary L Surfus, 73 of Auburn died Tuesday February 5, 2019 at Parkview Regional Medical Center in Fort Wayne. He was born January 12, 1946 in Auburn to G. Robert and Violet (Haifley) Surfus. Gary was a highly respected teacher. 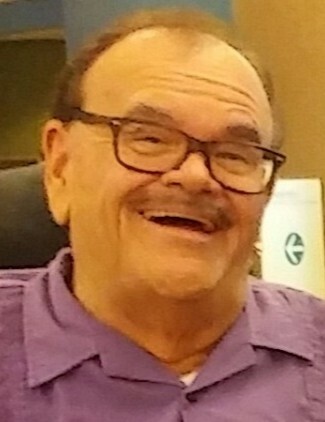 He taught at Garrett High School from 1973 to 1984 then taught 25 years at Barron Collier High School in Naples Florida before his retirement in 2009. He was a Indiana University Alumni and a former member of the New Hope Ministries in Naples. He attended the Reformed Baptist Church in Auburn. He married Kathy L Lovegrove on July 13, 1985 in Naples, FL and she passed away June 3, 2009. Surviving are 2 sisters and a brother, Robert (Brenda) Surfus of Auburn, Karen (Steve) Davis of Rogers, Arkansas and Dana (Jerry) Akey of Auburn. There are several nieces and nephews and great nieces and nephews. He was preceded in death by his parents, wife and a niece Jamie Akey. Services will be at 11 AM Monday February 11, 2019 at Feller and Clark Funeral Home, 1860 Center Street, Auburn, IN with Pastor Nathan Hyde officiating. Burial will follow the service in Cedar Creek Cemetery, Auburn. Calling is Sunday from 2 to 6 PM at the funeral home. Preferred memorials can be given in Gary’s name to Barron Collier High School Scholarship fund. To send condolences visit www.fellerandclark.com.